Missing teeth can be embarrassing, causing people to hide their smile and lose their self-esteem. The space created by missing teeth can easily become infected with bacteria, causing other teeth to shift out of place, and making it difficult for people to speak or eat correctly. All of our dentists and specialists and the staff at EZ Smile Dental are sensitive to the hardship a missing tooth can create. We provide dental implants so that our patients can regain their self-confidence, improve their health, and approach life boldly. 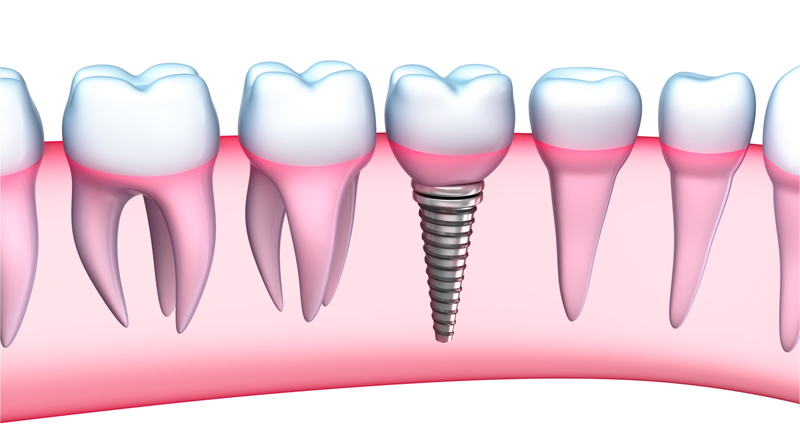 Installing dental implants is a complex procedure and patients throughout the Baltimore area trust us to replace their missing teeth due to the stellar reputation of EZ Smile Dental. We know that there are multiple dental providers to choose from so all of our dentists and specialists and the staff at EZ Smile Dental are constantly looking for ways to improve the overall experience of our patients. Our office is conveniently located in Baltimore and we treat patients throughout Maryland, offering them the opportunity to restore missing teeth in a way that looks natural and beautiful.